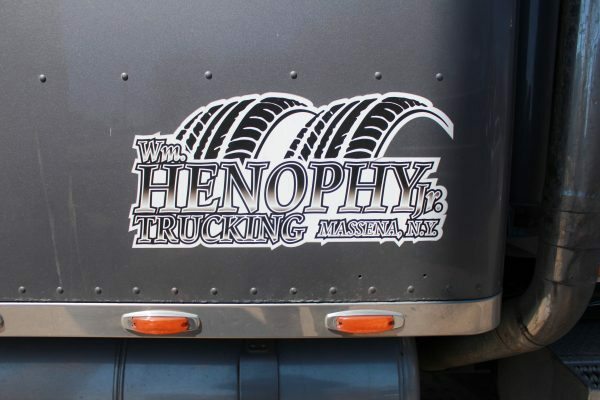 Henophy Trucking can help move your shipments. We are located close to the Canadian border and in close proximity to Cornwall & Montreal. Here at Henophy Trucking & Henophy Logistics we specialize in both small freight shipments and large long-haul freight shipping. Our fleet of reliable trucks, flatbed and van trailers will be able to accommodate any load or freight, no matter how big or small it is or where you need to get it too! At Henophy Trucking & Henophy Logistics we go the extra mile for all of our clients, providing you with a comprehensive service that you can trust and rely on. We offer a flexibility that is unrivaled in the freight and logistics industry, getting your freight delivered on-time every time. Helping you to coordinate the packing, logistics and transportation from the warehouse to get your small or large shipments to where they need to go on-time, in a safe and efficient manner. Contact us at Henophy Trucking & Henophy Logistics today for a free quote!